This hotel is ideal for guests looking for luxury in a private lush tropical setting, and perfect for honeymooners as well as families. Accommodations include condominium residences with superb ocean or garden views. Located on stunning Paipu Beach on Maui's southwest coast, guests enjoy great swimming, fantastic snorkeling, easy access and fun boogie boarding when the surf is up. Best of all, this is one of the least known and least crowded beaches in Maui's Wailea and Makena resort areas. 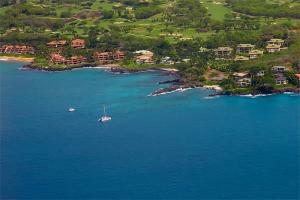 Ideally located on the beach in Makena just south of Wailea. Ask about specials offered throughout the year.